New York, NY - Being a member of New York’s Finest has always been a tough job, but with the ongoing FBI corruption probe heralding more bad news arriving on an almost daily basis, being a member of the NYPD has tougher than ever lately, according to Commissioner Bill Bratton. Speaking with members of The New York Post’s editorial board, Bratton said that the NYPD hasn’t seen corruption of this magnitude in over forty years. Five high ranking members of the NYPD have been stripped of their guns and badges and placed on modified duty as previously reported on VIN News and Bratton said that it is possible that more heads will continue to roll in the coming days. 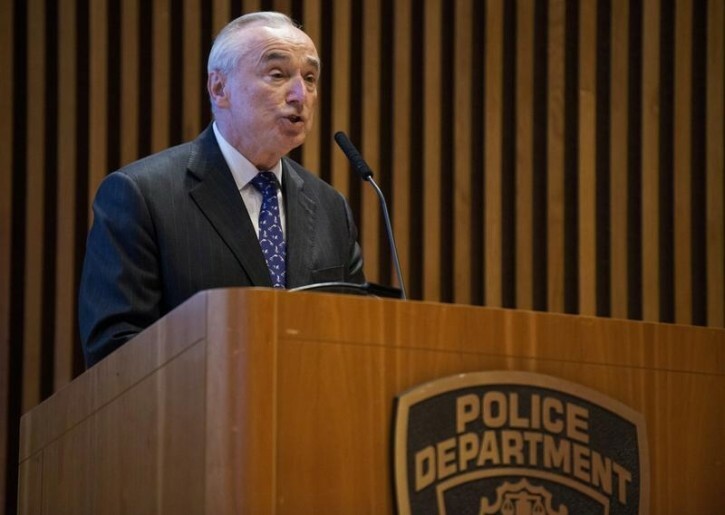 Bratton said that he couldn’t reveal further details because the investigations are ongoing. Bratton said that he has been in close contact with the FBI and credited the NYPD’s Internal Affairs Bureau for opening the investigation in 2013. He declined to comment on when he had learned that former NYPD chief Phillip Banks, with whom he had a notoriously rocky relationship, was being eyed because of inexplicably large bank balances. Bratton said that the last time an investigation revealed abuses of power at such senior levels within the police would likely be in the early 1970s when the Knapp Commission, created by Mayor John Lindsay, revealed widespread corruption throughout the NYPD. This is so silly. Was it really worth it for these bozos to "befriend" a bunch of police officers, breaking the law in the process. As usual, the rabbis were okay with the Askunim being involved because Askunim get a different set of rules than the usual members of the community. the corruption starts on top from Bratton and de bozo. Behind every high ranking politician or police official is a "frum" Yid. what corruption did u find by bratton? you believe because you have a computer you can bad mouth a police commissioner who is working so hard to secure the people of the worlds greatest city? please look yourself in the mirror before bashing other. how is he making us secure when he allows for crimes to now be "summonses" when he stopped the most effective tool of stop and frisk, when he stopped cops from going undercover into mosques to stop "alleged" terrorism and did you know how many more slashings there are now, bring back Ray Kelly.